We welcome you to join us to talk about issues young women with disability deal with. 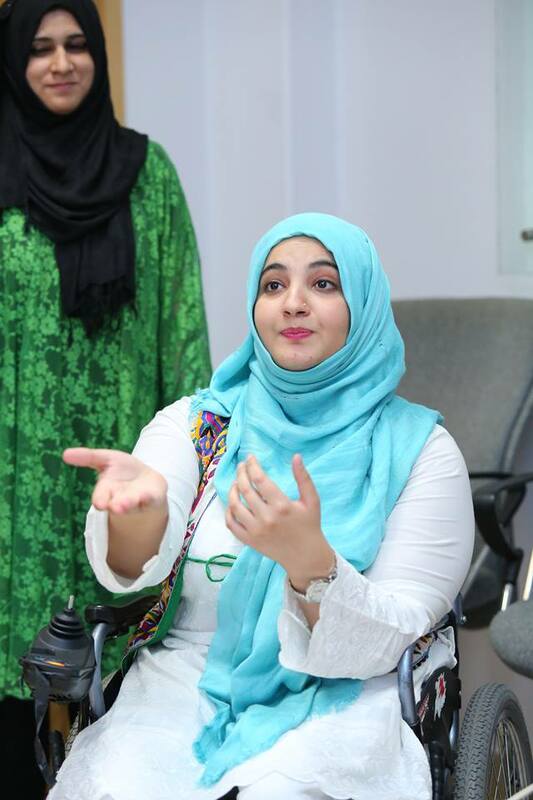 Our speaker Tanzila Khan from Pakistan addresses the challenges and opportunities for young women with disabilities in accessing sexual and reproductive health and rights ensuring to leave no one behind. An estimated 15% of the world’s population live with a disability. Persons with disabilities have the same sexual and reproductive health (SRH) needs as other people but they face multiple barriers and challenges when it comes to information and services. This discussion will address the challenges faced by young women with disabilities and explore opportunities for inclusion of young women with disabilities. Promoting gender equality and empowerment of women is essential to the achievement of the internationally agreed development goals, including the Sustainable Development Goals. Through this event Aware Girls and The Kota Alliance wants to change the stereotypes towards women especially young women with disabilities and to showcase the power of disabled young women activists as they have tremendous potential for leadership and the ability to transform communities. Light refreshments served. The event is free but donations are greatly appreciated.